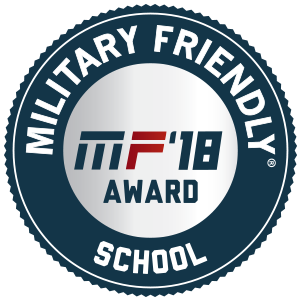 Whitworth University has earned the 2018 Military Friendly® School designation by Victory Media, publisher of G.I. Jobs®, STEM Jobs SM and Military Spouse. This is the second consecutive year Whitworth has received this distinction. First published in 2009, Military Friendly® Schools is the most comprehensive educational resource for veterans and their dependents. Each year, the list of Military Friendly® Schools is provided to service members and their families, helping them select the best college, university or trade school to receive the education and training needed to pursue a civilian career. Institutions earning the Military Friendly® School designation were evaluated using both public data sources and responses to Victory Media’s proprietary survey. More than 1,300 schools participated in the 2018 survey; 849 were awarded with the designation. Whitworth is an approved university to serve veterans and their family members who are eligible for educational benefits from the Department of Veterans Affairs, including under the Post-9/11 GI Bill, Yellow Ribbon, Montgomery GI Bill, Veterans Educational Assistance, Survivors & Dependents Assistance and Military Tuition Assistance. In addition, Whitworth offers a $1,500 scholarship to veterans and dependents whose tuition is not fully covered by VA benefits. For more information about Whitworth’s commitment to attracting and supporting military students, visit Whitworth’s Veteran Education Benefits page. Greg Orwig, vice president for admissions & financial aid, Whitworth University, (509) 777-4580 or gorwig@whitworth.edu.